We know that Blockchain is a form of Distributed Ledger Technology that gain enormous attention to overcome challenges with having a definite change in attitude regarding technology. But here the main questions come is whether Blockchain is an Evolution or Revolution? Let’s have a clear understanding of how it works. Blockchain technology is mainly based on the concept of how everybody participates in the copy of the database. Nowadays, Blockchain is a big deal than the Internet which can change the information about the particular transaction to acquire powerful hardware and software. This technology can prove to be an exception that agrees with the potential of Blockchain and help in shaping the future. 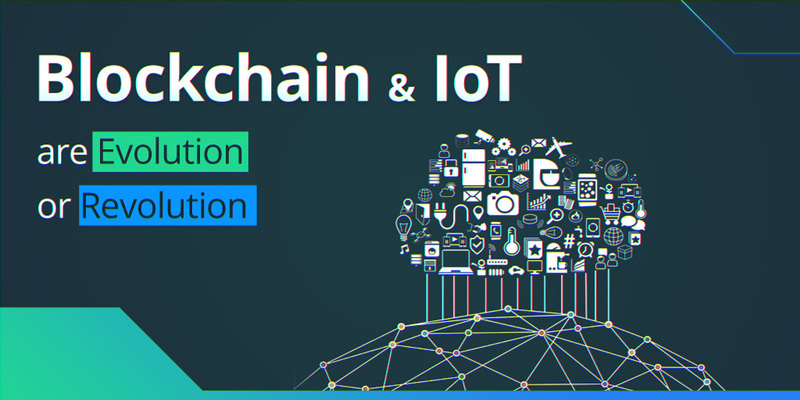 Experts prove that IoT technology will offer security while connecting the devices to the Internet and can address the Blockchain application by closing an impossible transaction with ease. Are you still confused, between revolutionary and evolutionary check this below points to get a purposed idea? Blockchain may have data blocks that select a bunch of users for making robust and quality design to create a Big Data. It’s a kind of process that contains a certain amount of transactions combines to represent a block. It ensures to have selected group of blocks to grow till infinity and handle the request. Blockchain comes with impact processes such as Transparency, Settlement, Loyalty, Fraud, IoT, and Policy. Blockchain works excellent with IoT as it offers the great solution to bond with a quick connection. Lot other benefits rely on common appliances to communicate to Blockchain without interception risks. Moreover, it doesn’t require any fast internet connection as it loads all data locally. A single request is answered at a time so doesn’t need a high level of encryption or any fraud detection. This makes it light-weighted & grows the popularity of Blockchain to use in high volume. After reading the above post, one might have got the general idea of how Blockchain is a revolution when talking about trust and handling issues. The use of this technology leads to more accessible in the Big Data landscape. Using this technology we can get the universal picture more than its expectation. Also, the user will be able to manage and monitor copyright by focusing on the creation and not fraud. If you’re looking for Blockchain or IoT services for your business then why not try our Semaphore software as we offer a unique approach for small to large businesses. Connect with us to raise your idea.